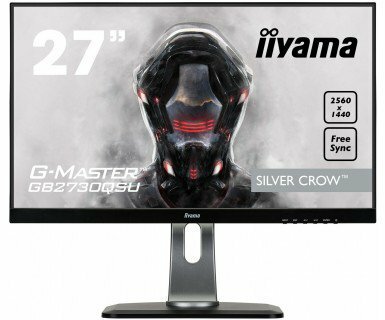 Iiyama has introduced two more gaming monitors to the G-Master series, one of which is the 27-inch 1440p Iiyama GB2730QSU with the rapid 1ms response time speed and AMD FreeSync technology. The display also offers exclusive gaming features as well as an ultra-slim and fully ergonomic design. The Iiyama GB2730QSU is a new and visually upgraded model of the previous Iiyama GB2783QSU version. 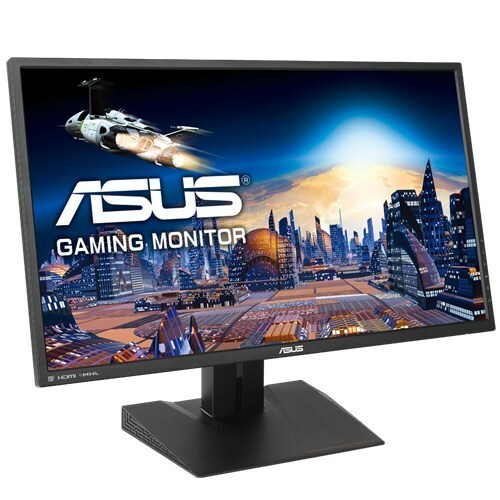 The monitor is based on a TN panel which allows for the quick 1ms response time speed for minimal ghosting and motion blur in fast-paced games. However, such speed comes at cost of image quality and narrow viewing angles (170° horizontally and 160° vertically) which make the picture shift in contrast and color when it’s viewed from certain angles. Additionally, in comparison to the IPS and VA panel monitors, the TN displays have washed out colors but thanks to their superior response time speed, they’re an ideal choice for competitive gaming where performance is preferred over graphics. The 27-inch monitor boasts the WQHD 2560×1440 screen resolution that delivers a rich pixel density and makes everything crisp and vividly detailed while also providing you with plenty of screen real estate. 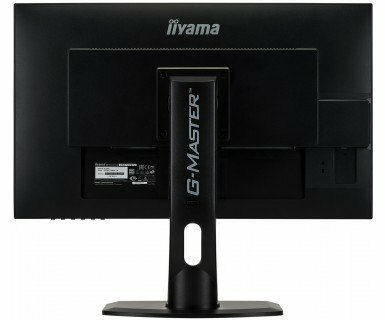 The Iiyama GB2730QSU-B1 1440p monitor also offers exclusive gaming features such as pre-calibrated picture presets for FPS and RTS game genres as well as customizable profiles. You can also use the Black Tuner feature to increase visibility in dark-themed video games. AMD FreeSync technology makes for a seamless gaming experience without screen stuttering and tearing. However, to use this technology, you will need a FreeSync-compatible graphics card from AMD in order to synchronize the frame rate between the Iiyama GB2730QSU and the GPU. Unlike its predecessor, the Iiyama GB2730QSU TN monitor has a more modern design with thin bezels. Moreover, it’s fully ergonomic with VESA mount compatibility, tilt, swivel, pivot, and height adjustments. Connectors include a DVI, an HDMI, a DisplayPort, an audio line-out for the headphones, an audio line-in for the two 2W integrated speakers, and a dual-USB3.0 hub. 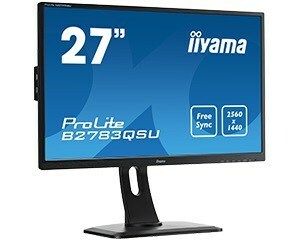 The Iiyama GB2783QSU FreeSync range amounts to 48-75Hz when it’s connected via the DisplayPort. The Iiyama GB2730QSU is already available in some parts of Europe and it’s priced at €292 (~$347). If you’re looking for a display for competitive gameplay, we recommend getting a 1080p 144Hz gaming monitor instead. In case you prefer more graphically-oriented games, go for a 1440p monitor with an IPS or a VA panel. 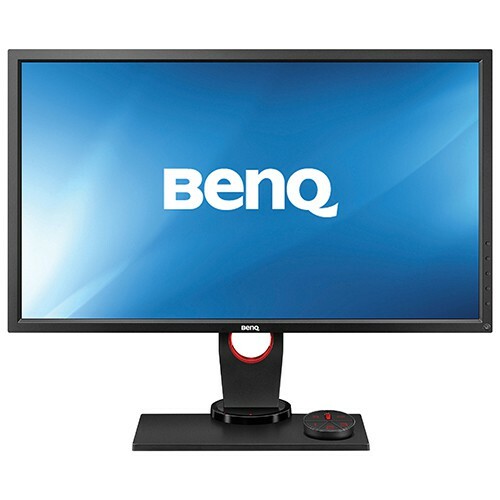 Check out our comprehensive gaming monitor buyer’s guide for more better deals.